The countdown to back to school is on! I look forward to back to school more than I do summer! 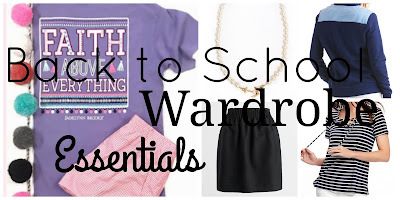 Today I am giving you six of my back to school wardrobe essentials to kick start your preppy wardrobe for the new school year. I love these Vineyard Vines Shep Shirts and I hope to get one for the new school year. 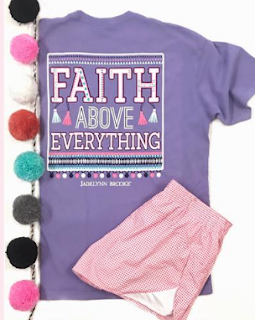 These are perfect for throwing over your shirt during the school day when you get cold or you can wear it as a shirt for a more put together lazy day outfit. I also love my North Face jackets! If you don't like this style the fleece North Face jackets are wonderful. 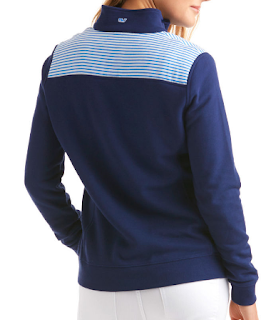 They come in a variety of colors and are less expensive (but not by much) than the Shep shirts. I like this style in particular because it feels like you are wearing a blanket! North Face tip: Wash your jacket in the washing machine but hang it up to dry for the softness to last longer. If you pay any attention to my blog you know I love my pearls! I wear pearls with literally every outfit! Whether their real pearls or not I feel like this is a staple in every classy girl's wardrobe. I wear them with jeans, dress, tees, everything. 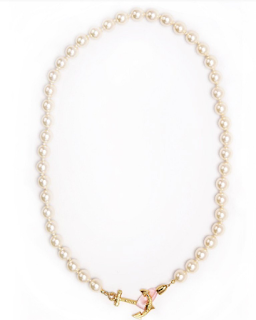 I love this KJP necklace and if you are wanting to purchase a good quality pearl necklace this one is perfect. If you don't want to spend a lot of money on pearls you can always string them your self. In the past I have bought a case of pearls and string and made pearl necklaces for me and my friends and doing it that way you save money and you can make different style pearl necklaces. 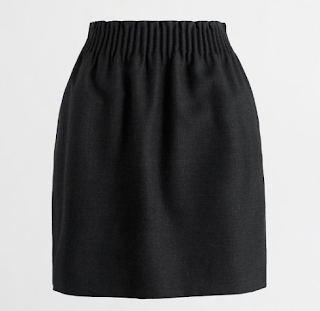 I am someone who dresses up frequently and whether or not you're the same way a skirt is good to have in your school wardrobe. 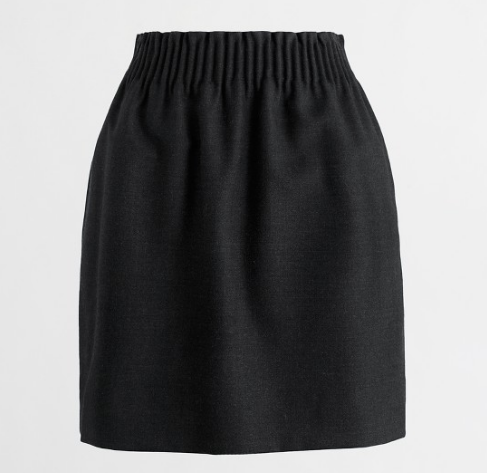 If you dress up like me, this J Crew Sidewalk skirt can be styled so many ways but if you are someone who doesn't dress up this is still good to have for presentations and events. Me and striped articles of clothing have a very good relationship (if you don't believe me read these posts: here, here, here, here). 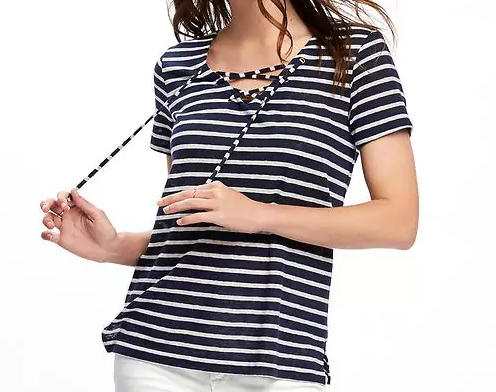 You can see stripes worn on me five days out of seven. They are a must have! 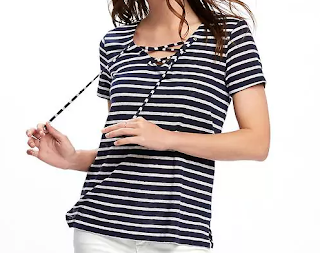 Since it's still warm outside I can't find my favorite striped boat neck tops on any site except for J Crew so click here to see those. The one featured above is perfect though, if you live in a hot place like Texas (like I do) and will be melting from the heat at school until January. 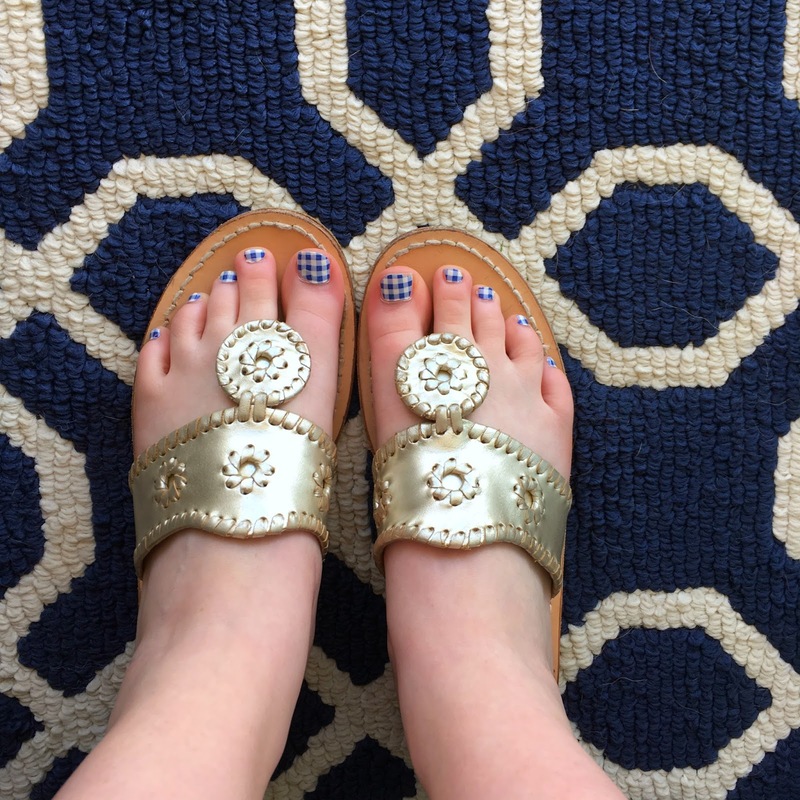 In 99% of my OOTD posts I am wearing Jack Rogers and it's because I wear them almost everyday. I'm going to be honest and say if you have any sort of foot/ ankle/ knee problem they are in no way comfortable but hey, beauty is pain, right? They look good with everything and you can dress them up or down. They are the perfect alternative to heels if you are someone like me who can't wear heels. 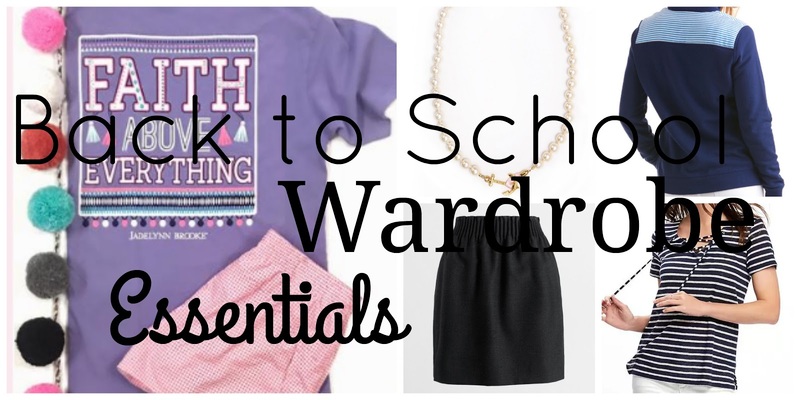 So those are some of my back to school wardrobe essentials, what are some of your back to school essentials?